BY DAILY NATION: Jacque Maribe’s dad, Mr Mwangi Maribe, has spoken for the first since his daughter was arrested alongside Joseph Jowie Irungu, over the murder of Monica Kimani in Kilimani on the night of September 19. 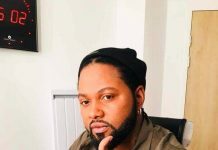 He has come out swinging, proclaiming his daugther’s innocence, arguing she is a victim of love and circumstances and police of seeking to “become famous” by prosecuting her because she is a celebrity. “Police want to become famous by nailing a celebrity. That is why my daughter is in custody. Her neighbour, Brian Kassaine, also has a partner. Why is she not in custody? Her biggest mistake was falling in love,” he said in a telephone interview with the Daily Nation at the weekend. Mr Maribe says that his daughter’s life would be in danger if she testified against those arrested in connection with the murder. Mr Irungu, popularly known as Jowie, is believed to have used Mr Kassaine’s unlicensed gun to shoot himself. The latter is also in custody in connection with the killing. 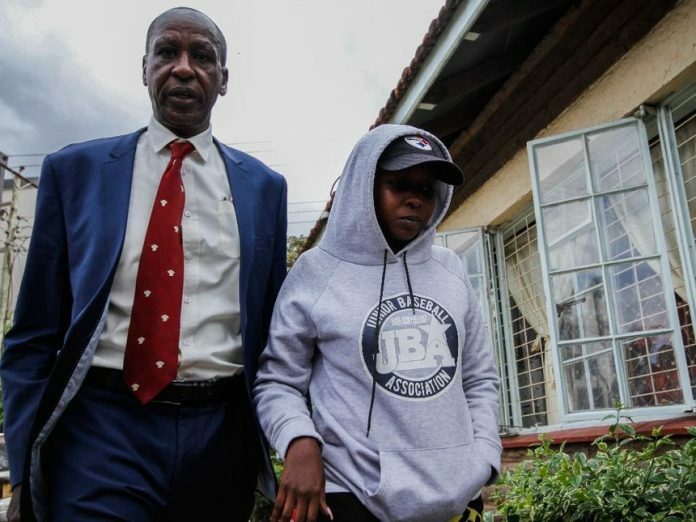 Mr Maribe claimed investigators have not directly linked Ms Kimani’s murder to his daughter, saying there was “no way” his daughter could have been involved in the gruesome killing and then break the news the following day on Citizen TV. “The day after Monica’s murder, my daughter read the same piece of news at Citizen . How callous can she be to participate in a murder and have the courage to read the news? That is not the girl we raised,” he said. Director of Criminal Investigations George Kinoti, however, was categorical at the weekend that he intends to charge Ms Maribe with an offence related to the murder. He also said that the analysis of evidence from the scene of crime and from material collected from Ms Maribe’s house, including a knife from her kitchen, is still ongoing. Police have previously said that clothes, which they believe may have been worn during the murder, were burnt near Ms Maribe’s house. She may also have lied to police about Mr Irungu’s movements and the cause of his injury. A person becomes an accessory to murder if they learn of the crime after it is committed and help the person who has committed it to hide it, hide the person from the authorities or just fail to report to the police. 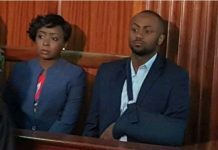 Ms Maribe’s family said they feared for her life if she decides to testify against Mr Irungu. In fact, Mr Maribe said, they may advise against it. “He may not have committed the crime alone. The man has deep connections with shadowy people. His accomplices may be out there and may go after my daughter if she testifies against him. She could live in fear for the rest of her life,” he said. Mr Irungu is a suspect and so far has not been charged with any offence. 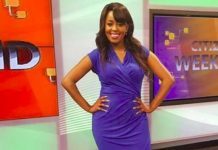 On September 20, a day after Ms Kimani’s murder, Ms Maribe had a major fallout with Mr Irungu at an upmarket bar when he went to pick her up, according to the father’s version of events. Mr Maribe claimed that his daughter wanted to end the relationship. “She asked Irungu to return her car keys and ATM card. Even when they went back to the house, Jacque threw some of his clothes out. The man threatened to kill himself after Jacque said she would leave him. He borrowed a gun and shot himself,” Mr Maribe claimed.